In the hotel world, truly new ideas are few and far between. A trio of Viennese architects, however, has hit upon a new one, turning a handful of vacant (and separate) shopfronts in Vienna’s fourth district into a sort of distributed hotel, which goes by the name of Graetzlhotel Belvedere. 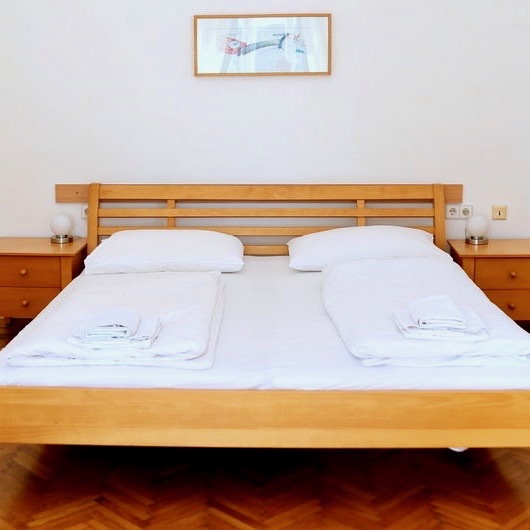 The idea is that you’re something of an urban explorer — one of a handful of disused ground-floor shopfronts serves as your room, and for the rest of the services a hotel normally provides, you’ve got the very civilized city of Vienna at your disposal. They’re planning ten or more, but at the moment five are open: the Tailoress, the Tobacconist, the Artist, the Blacksmith and the Gallerist, all named, of course, for the shops that once occupied the spaces. They’ve been given a thorough makeover, naturally — you’re not literally sleeping on a shop floor — though each one retains as much as possible of the shop’s former character. The location is central, but not central central; the 4th lies outside of the Ringstrasse, though the area is still quite urban, and within easy walking distance of the Innere Stadt. And the units are all clustered within a couple of streets, along with the necessary amenities: Cafe Goldegg for breakfast, Opocensky and Chimbiss for lunch, Aromat for dinner, and Motto and Pratersauna for late-night pursuits — as well as a handful of shops and galleries and options for fitness and wellness. It’s city life, expertly curated — a hotel, dare we say, for the apartment-share era.